Sign Up for Team Green! BRAG is teaming up with the Atlanta Falcons and Atlanta United to Recycle For Good. Team Green is a team of volunteers that collects cans in the tailgating areas of Falcons and United games in an effort to rais money for habitat for humanity. Once 3 million cans are collected, a house will be built for a family in need on the west side. 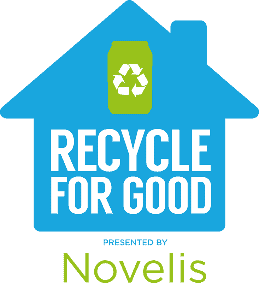 For more information please visit the Recycle For Good webpage. YOU CAN HELP by coming to a game and helping us collect cans. We meet at gate 1 of the Mercedes Benz Stadium 3 hours before each game and collect cans until 1 hour after game. The process involves walking all of the tailgate lots and passing out blue recycling bags and spreading the word about the program. Once the game starts we walk all the lots again and collect all the bags. Please wear comfortable shoes and be prepared to pick up come cans! For more information you can email franklin@brag.org. To sign up for a game, please complete the form below.